Darwin Fitness stands for solid and affordable fitness equipment for starting the training at home. 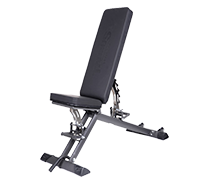 The Darwin weight bench offers you a good basis for your strength training at home. The weight bench is softly padded, the backrest can be seven times adjusted even down to the negative angle. The training bench of Darwin is multiple adjustable and very stable. 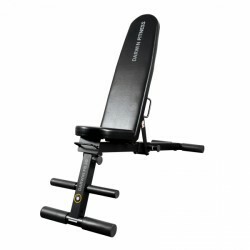 The fitness equipment Darwin weight bench is recommended for free barbell or dumbbell training at home. 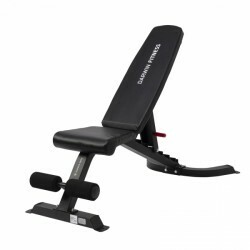 The Darwin weight bench FB70 is a sturdy weight bench with an adjustable backrest and a comfortable upholstery.